As the workforce population shifts more towards the younger, “millennial” generation each day, business owners are starting to see the differences between young and old employees go far beyond personalities and attitudes. 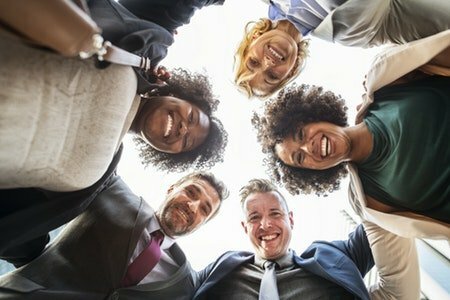 Many business owners are realizing that diversity is no longer a “suggestion” or “obligation,” it’s the way of the future. In fact, of the 35% of millennials who already dominate the labor population, over half are women or racially diverse. With a changing population comes major shifts in the market. Consumers won’t support businesses that aren’t socially conscious and employees from diverse backgrounds won’t work where they feel unwelcomed. By bringing in different voices, employers also make room for bigger innovation, ideas and better morale. It’s a task that’s easier said than done, however, and can often be halted by problems we neither see or recognize due to our backgrounds and attitudes. So for those struggling to add new voices to the team, consider these steps to diversify the workplace. If the job listings and recruiting methods you typically use aren’t bringing any progress, consider a new strategy. Attend job fairs at another school, use demographic data to better target your listings, use a different job board. Building relationships with local groups that serve veterans, LGBTQ and other communities will also help you reach out to groups who ordinarily couldn’t reach out to you. Automated job boards such as ours also cast a wider net than standard listing services, giving you reach beyond specific professional or member-restricted networks. It’s human nature to gravitate towards people we have a lot in common with. Age, gender, alma mater, hometown, previous employer, hobbies, writing style, while skin color is rarely the focus, it may become guilty by association once small towns and ivy leagues enter the mix. Not everyone is trained to recognize and ignore their bias, that’s why many recruiting services offer blind assessment methods. By stripping resumes and user data of traits like gender, age, even dates of employment, hiring managers are forced to look at each candidate from an objective standpoint. Put yourself in the shoes of applicants. Are they meeting with the best people to represent your company from both a professional and cultural standpoint? Using a new interviewer or, if possible, a group interview will help you have a better perspective on the candidate based on your team’s differing values and backgrounds. This will also show applicants the makeup of your company and provide better insight to your values and internal culture. Whether your problem is accessing a more diverse talent pool or accessing talent period, the problem can often be fixed with better recruiting strategies. Want to see some in action? Visit Monikl to learn more.